Art Ross was the first coach to pull his goaltender in desperation, we think. With good authority, James Duplacey’s The Rules of Hockey (1996) points to the second game of the 1931 Stanley Cup semi-final between Montreal and Boston at the latter’s Garden. March 26 was the date. Battleship Leduc was wearing a boxer’s training helmet and didn’t play well. Dit Clapper lay on the ice in “anguish” after he dislocated his shoulder, which was before he relocated it and kept on playing. Montreal’s Georges Mantha scored in the first period. In the third, after Howie Morenz hit a post, Eddie Shore knocked him cold. Boston’s George Owen got a major penalty for that, or something, which made up to 16,550 people in the stands very unhappy. Many of them threw stuff. Four minutes remained in the game. Attendants who cleared the ice saw more stuff fall as soon as they’d finished their work, and so they returned to clear that. Bruins’ president Charles Adams then walked out to announce that anyone throwing more stuff would be prosecuted. Everyone threw more stuff. The hockey players went to their dressing rooms while the attendants went to work for a third time. 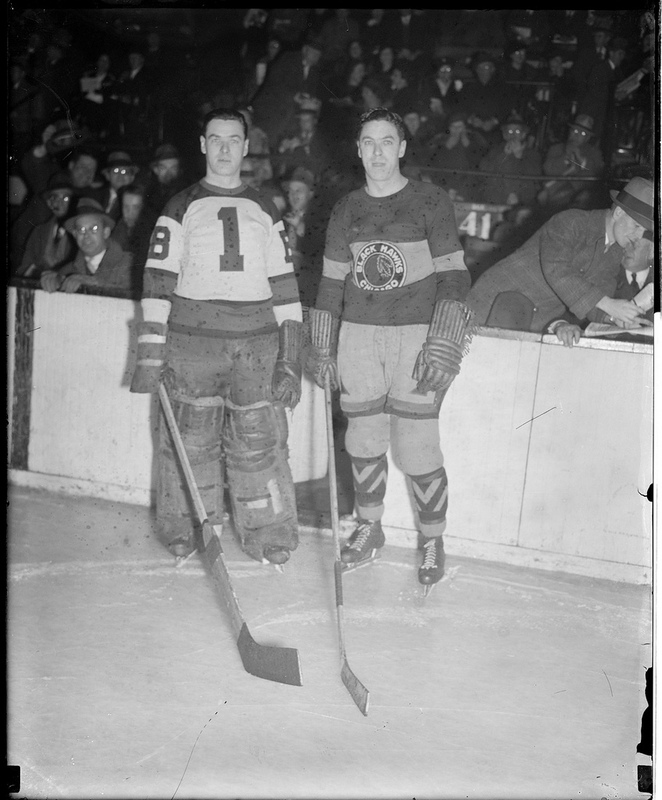 Policemen ejected “one or two alleged paper tossers.” When play resumed after a 15-minute delay, Montreal had its own penalty to serve — Johnny Gagnon, two minutes for “stalling” — and the teams briefly played four-on-four before Gagnon returned. Georges Mantha had scored for Montreal in the first period and so, with a minute remaining in the game, Ross yanked his goaltender, Tiny Thompson, to send out Red Beattie to join the shorthanded Bruins. Shore, Clapper, Art Chapman and Cooney Weiland were the rest of them trying to score, but they never got a clear shot at Montreal’s George Hainsworth before the bell ended what Victor Jones of The Boston Globe called “as lively a shindig as this pair of eyes ever gazed upon.” Final score: Montreal 1, Boston 0. All of which is to set straight Dave Strader’s mistaken salute last night to the spurious 73rd anniversary of the first yank of an NHL goaltender. Play-by-playing Detroit’s game with Chicago on NBCSN, Strader anticipated Mike Babcock’s final-minute decision on whether Jimmy Howard would stay or go by telling his colour man, Brian Engblom, that March 16 was the day the first NHL goaltender left his net in favour of an extra attacker. 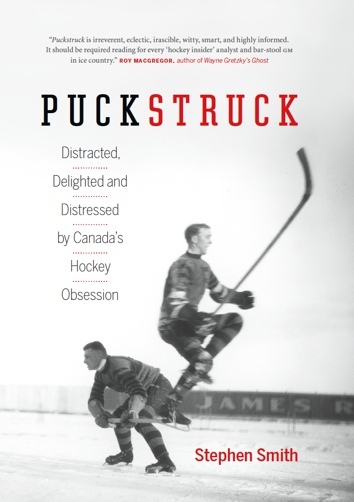 Strader had all the details: Chicago’s Sam LoPresti was the goalie, Paul Thompson his coach, Toronto the opposition. All of which check out. The newspaper accounts I’ve seen don’t explicitly mention LoPresti leaving the net, but the Leafs did score two goals in the final minute of the game, to win it 3-0. Good, then: except that game was 1941, a full ten years after Thompson’s well-documented departure. Paul was Tiny’s younger brother — could that be where the confusion somehow got started? Pulling the goalie It was the New York Rangers who first pulled their goaltender for an extra skater, either 1939-40 or 1940-41. Frank Boucher, the club’s coach at the time is generally credited with the innovation. In 1931, Ross’s innovation was an “amazing manoeuvre” (The Globe and Mail) and — well, Victor Jones at The Boston Globe was frankly more concerned about the “miscarriage of justice” that marred the game (the late penalty on George Owen). I don’t know who the next goaltender was to be pulled. Ross kept on yanking Thompson every now and again over the years that followed, but I’ve yet to find a case where it actually paid off with a goal. Who’s the first sixth attacker to have scored? That would be worth knowing.